Watching the debate for the nominees for the Republican candidate for President was pretty engaging from this part of the world, even though I don’t quite fully understand the electoral system of the USA. Seeing nominees in the same party competing and attacking each other is something of a funny spectacle. In Australia, the major political parties try to contain their internal bickering behind closed doors, coupled with frequent leaking to the media. Yesterday the internal fighting was so heated that it changed our Prime Minister overnight. However, in the USA the bickering is all on public display. On the one hand, it’s honest in that the disdain is there, warts and all, on the other hand it seems odd people on the same team bagging each other. 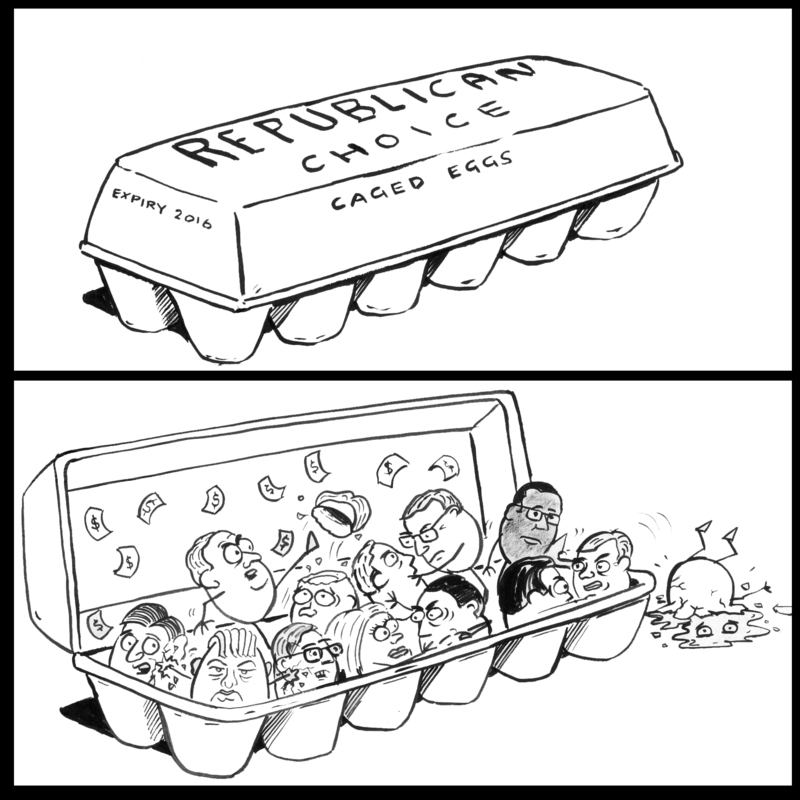 And, so this cartoon came out, and I’m not exactly sure why I made them eggs, trapped in the same space and trying to break each other perhaps. Anyway, but here you go!